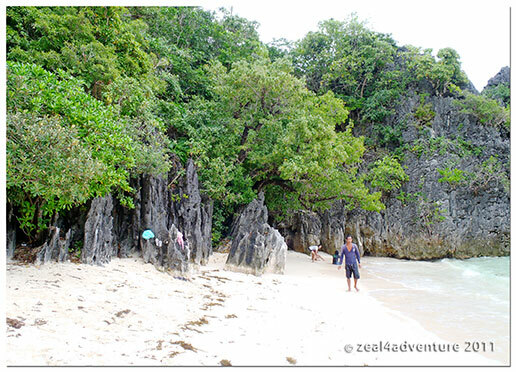 Beautiful stretch of powdery white sand beach walled with limestone cliffs. 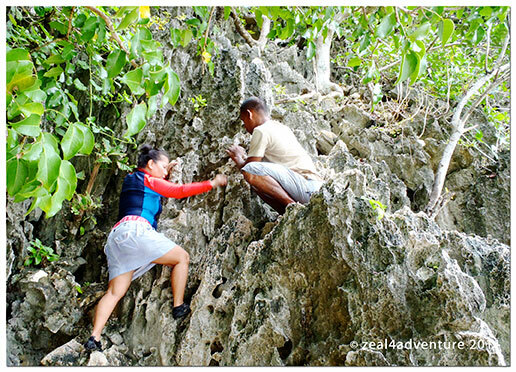 At one end of the beach is a cliff that many climb to view the lagoon hidden behind. This private cove beside Gota Village was developed to house the booted-out contestants of the Survivor series – what a nice reward, me think. They have 14 pretty cabana that were not operational at the time of our visit – repairs were being made perhaps also in preparation for the next “Survivor” ocular. Lunch was served there hence the visit. 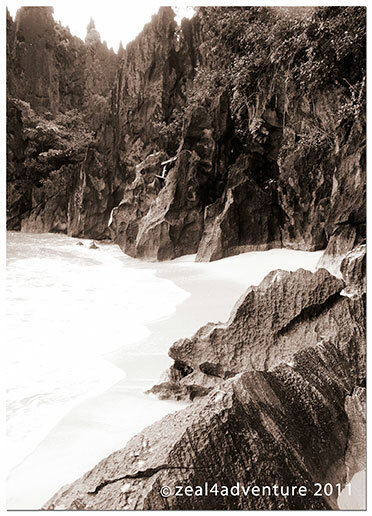 Like Matukad, it has a stretch of powdery white sand and it being a cove is blessed with a much tamer shore. 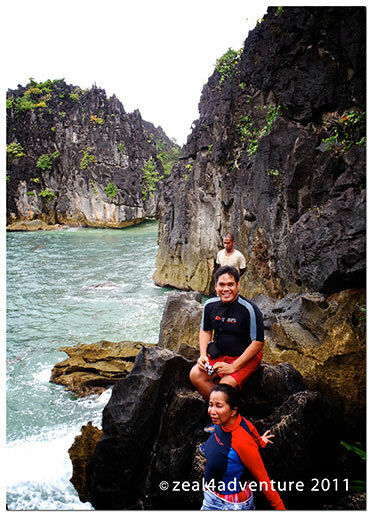 Also like Matukad, it is walled with limestone cliffs but unlike Matukad, this does not have a lagoon anywhere. 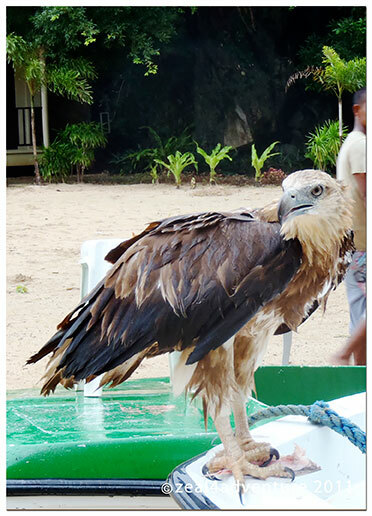 It has a regular visitor though whom they feed when around. The caretakers opened a cabana, which I assume would be typical, for us to take a look. This will cost P6,000+ a night if they were operational. No thanks! 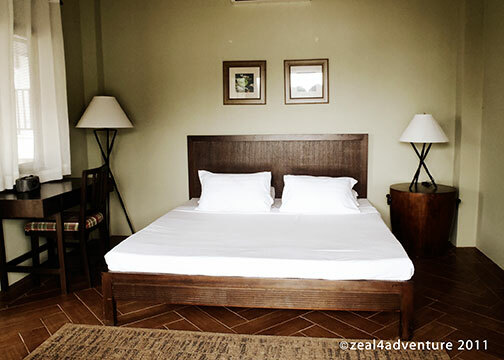 Our charming cabin at Gota Village albeit more basic was P3,500 a night only. We were supposed to head back already but were curious with this one particular island with beautiful jagged edge formations so we stopped to take a look. Glad we did. The cliff was easy enough to climb and we were rewarded by a stunning view of the other side. 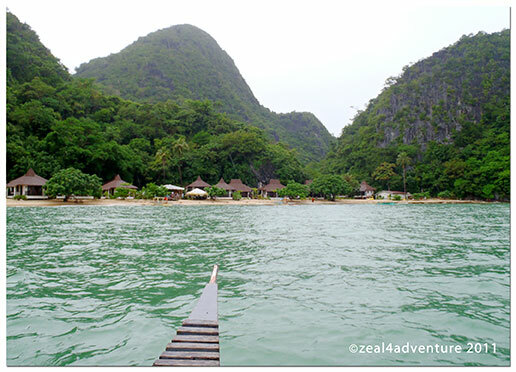 The boatman said that during calm days, it’s a good snorkel and kayaking area. With the little that we saw, I can deduce that Caramoan is indeed a remarkable paradise that reminds of Palawan and even to a certain extent, Halong Bay minus the junks. No wonder it has become the choice of many Survivor franchise. The place is quite enchanting. Previous postThe Upside of Being Wimpy! that’s a tad pricey? i reckon it includes all meals? sometimes when the call of travel comes it doesn’t matter what time of year it is. glad you heeded it’s summon. You go to places that I would like to venture! 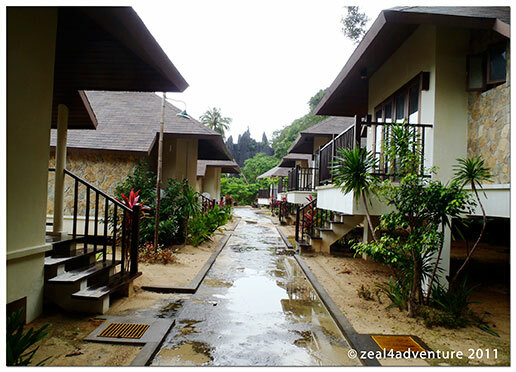 The lush greenery and waters look so inviting! I am so envious! 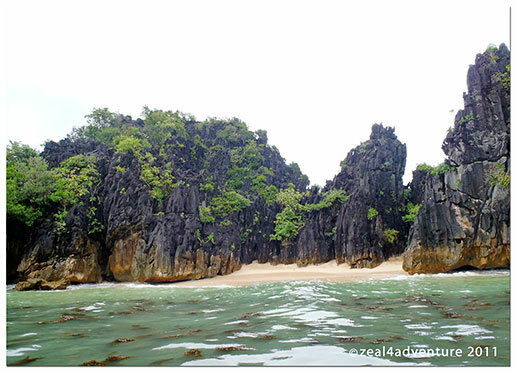 I am from Bicol but I have never been to those beautiful Caramoan Islands. 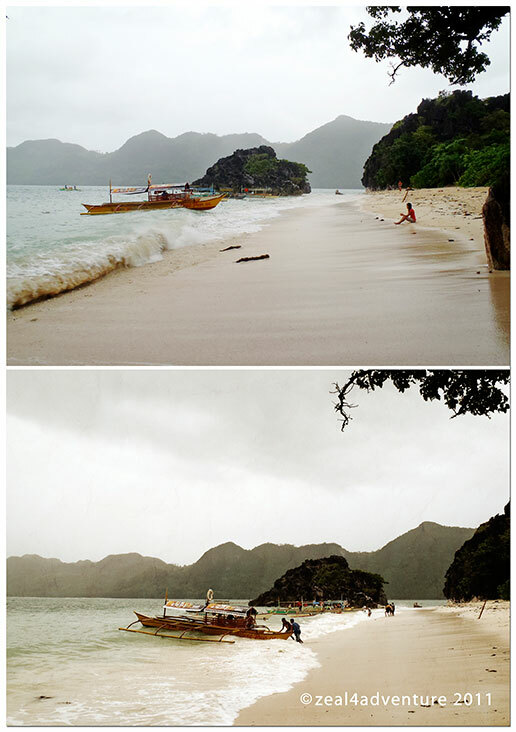 I am too excited to go home and visit Caramoan.